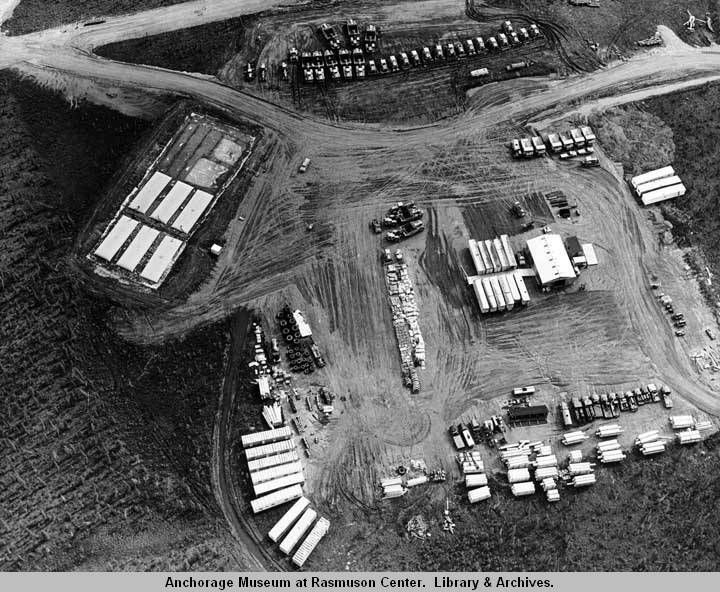 Construction of the Trans-Alaska Pipeline (TAPS) began in the spring of 1975. In the face of increasing costs of state government and the demands of a population exploding from an influx of pipeline construction workers, lawmakers imposed a temporary tax on proven oil and gas reserves as a stopgap measure to generate revenues until oil flowed through TAPS. Credited against future severance tax payments, the taxes collections, were in effect, a loan of roughly $500 million to the State of Alaska from the Prudhoe Bay producers. Passage of the Regulation of Lobbying Act, which gave the Alaska Public Offices Commission responsibility for regulating lobbying and lobbyists. Creation of the Water Resources Revolving Loan Fund for hydroelectric and water supply projects. Appropriation of funds to establish a satellite communications network (RATNet) and funds for the Television Demonstration Project to determine the feasibility of satellite delivery of TV. Passage of the Community Mental Health Services Act, which was intended to create a unified community-based statewide mental health system. Creation of the Regional Education Attendance Areas (REAA) in an effort to increase local input and control, and in anticipation of a settlement in the Molly Hootch case, passed a general obligation bond provision to construct local schools for Native communities in rural Alaska. Creation of the Alaska's Percent for Art Program, which established a mechanism to acquire works of art for state buildings and other public facilities. In April 1976, the first live coverage of legislative floor sessions begins-one hour House and one hour Senate each day. On November 2, 1976, voters approved a Constitutional amendment establishing the Alaska Permanent Fund. Work begins on TAPS, which at its peak, employs a workforce of 28,000 people. Anwar Sadat becomes the first Egyptian president to officially visit the United States. President Gerald Ford signs the Education for All Handicapped Children Act, which requires states to provide free public education to children with disabilities. North and South Vietnam are officially reunified. The Great Tangshan Earthquake, followed by a 7.1 aftershock, strikes China killing over 255,000 people.